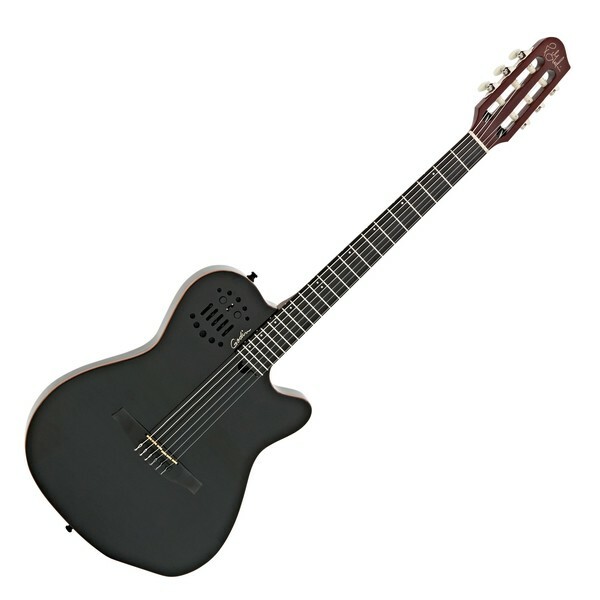 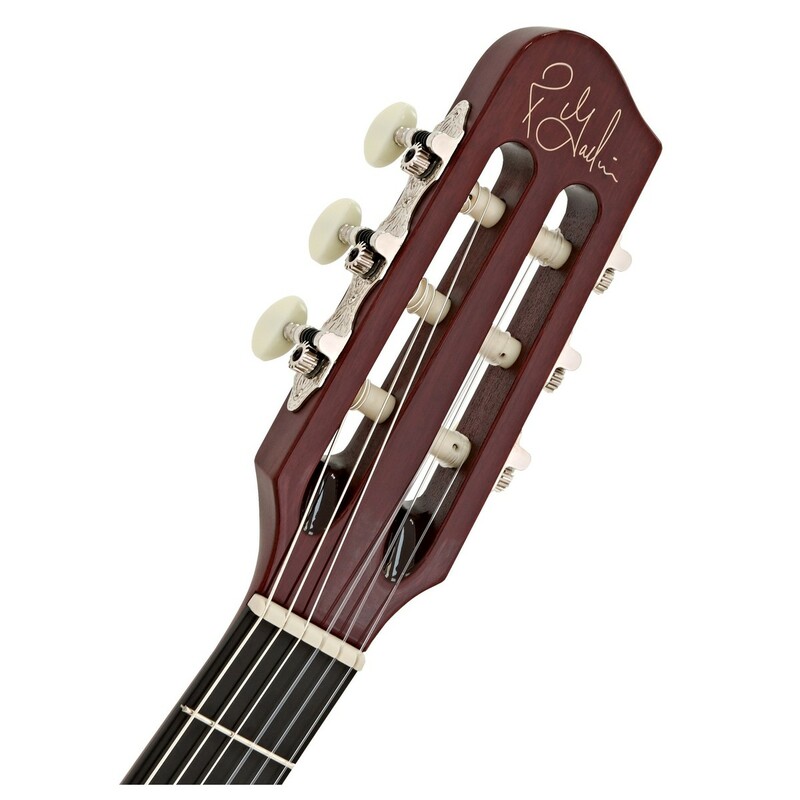 The ACS-SA Slim Guitar by Godin is the same as the ACS-SA's in all ways except for the neck which is a 16th of an inch wider than Godins standard electric guitar necks making it easier and more comfortable to play as well as allowing steel string guitar players to transition over to nylon strings with ease. 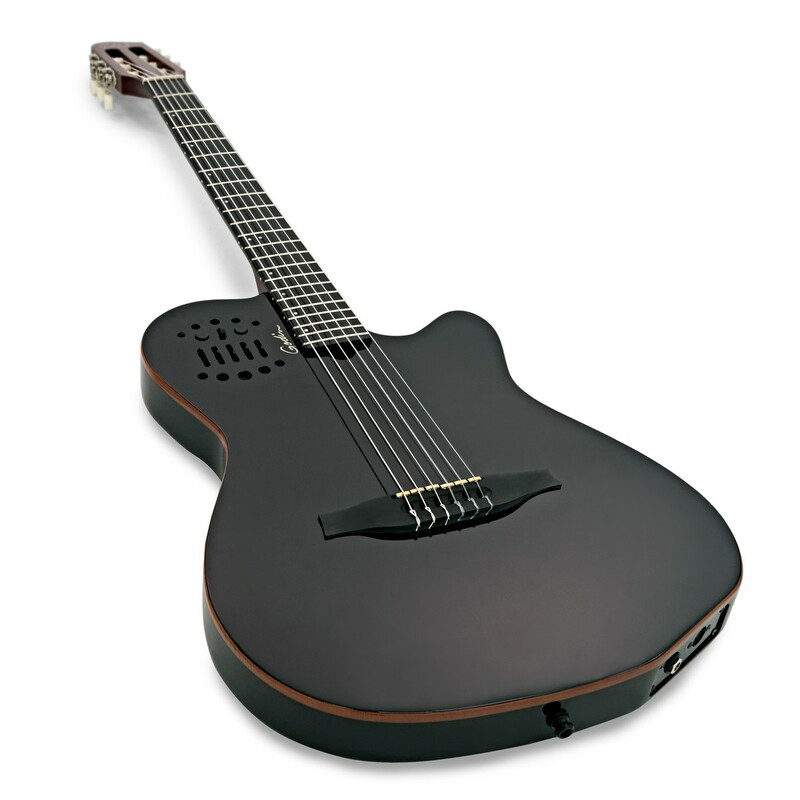 The ACS-SA Slim takes some classical guitar concepts and merges them with solid body aspects to make a great sounding and versatile instrument. 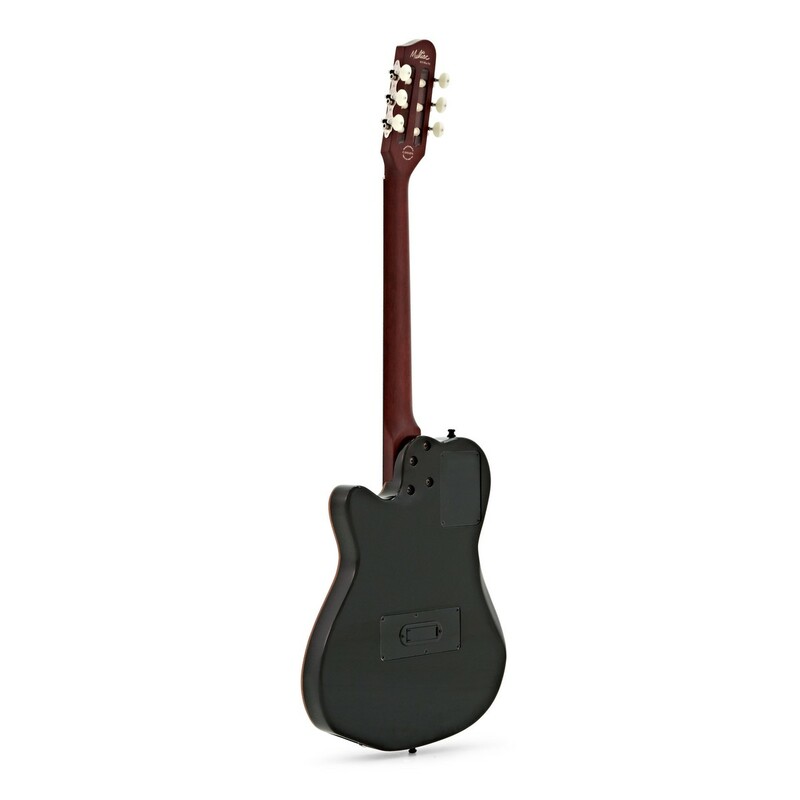 The ACS-SA Slim's design allows this guitar to have almost no feedback making it essential for use within a loud band, the feedback is stopped due to the response of the guitar top is more typical of a solid body guitar rather than a standard acoustic even though this guitar is chambered. 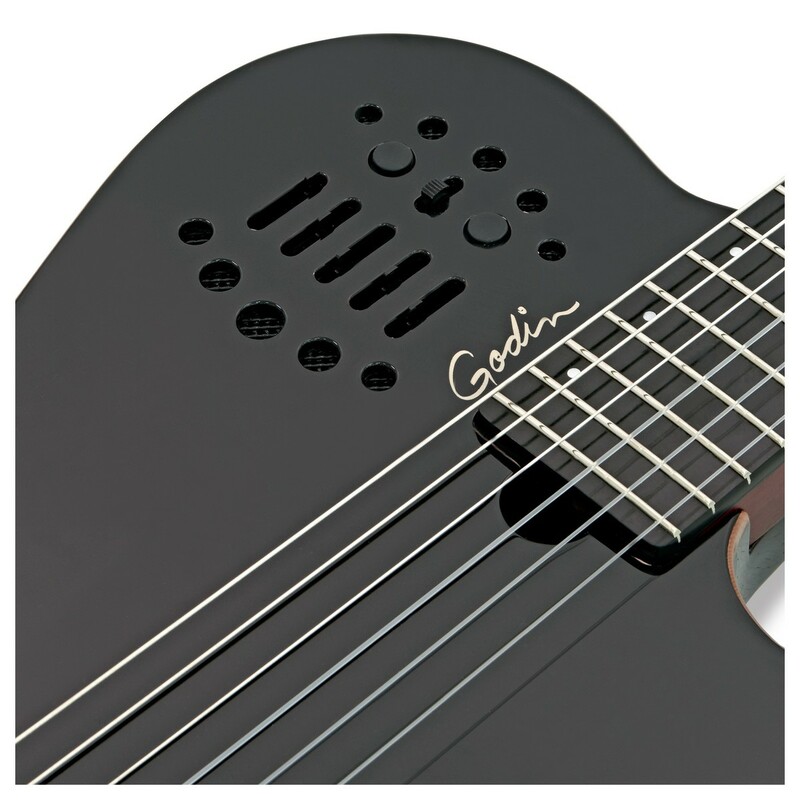 The Godin ACS-SA Slim's engine features individual transducer saddles that are powered by a customised preamp system. 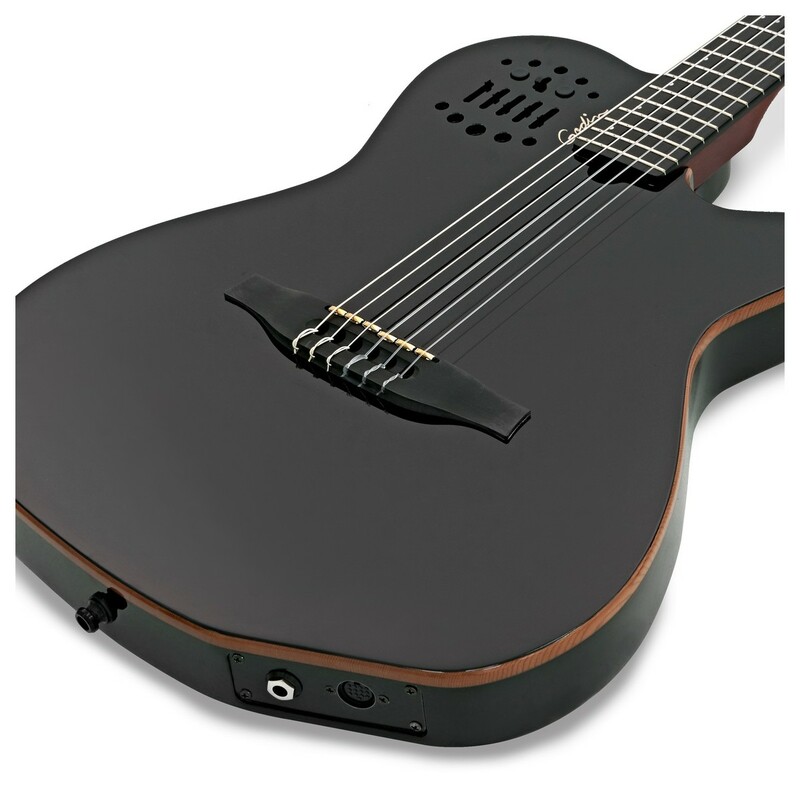 This allows the engine to produce high quality amplified sounds and a hexaphonic output through a 13 pin connector that enables direct access to Roland GR-Series guitar synths.